Trials & Tribulations Of A Brummie Mummy: Would You Like To Become A Princess For A Day? Win! An exclusive Disney Princess-themed day out in London with Rubie’s. Ever wondered what it would be like to be a princess for a day? Well look no further as your dream could become reality with a brand new competition being launched by Rubie’s fancy dress. Whether you’re longing to become Belle or desperate to slip into Cinderella’s glass slippers, little girls nationwide are being invited to let the world know what they would do if they were a princess for a day. The winner will get to experience an amazing day out in London and will be kitted out with Rubie’s’ full range of Disney Princess costumes and matching accessories! The lucky princess will arrive in central London and be taken by private car to see their favourite Disney Princess film at Disney's private screening room in Hammersmith - the ultimate in VIP (Very.Important.Princess) style. Afterwards, the winner will be whisked off to Buckingham Palace where a spectacular horse drawn carriage will be waiting to take them on a magical tour of London. Heading down The Mall, around St James's Park and Hyde Park then a procession down Brompton Road finally stopping at Harrods where the princess will have special treatment in the Harrods toy department and a £100 voucher to spend. 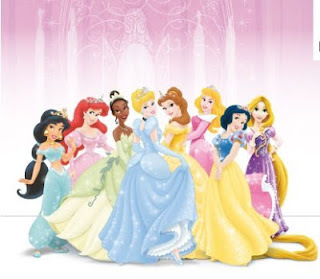 To enter simply visit http://www.rubiesdisneyprincess.com answer the questions and upload a photo of your child dressed as her favourite princess – official costumes or just playing dress-up!